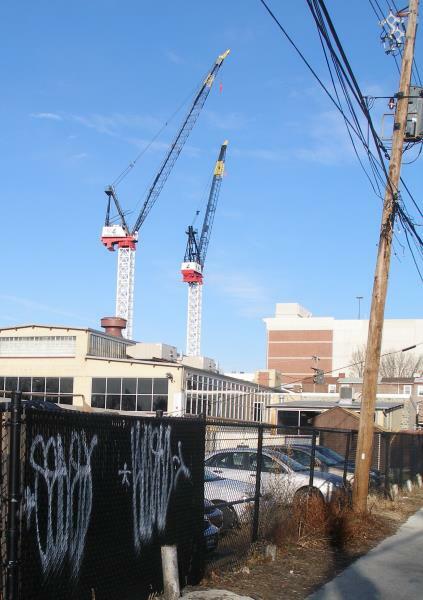 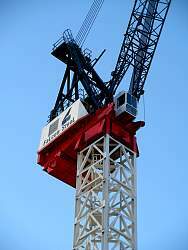 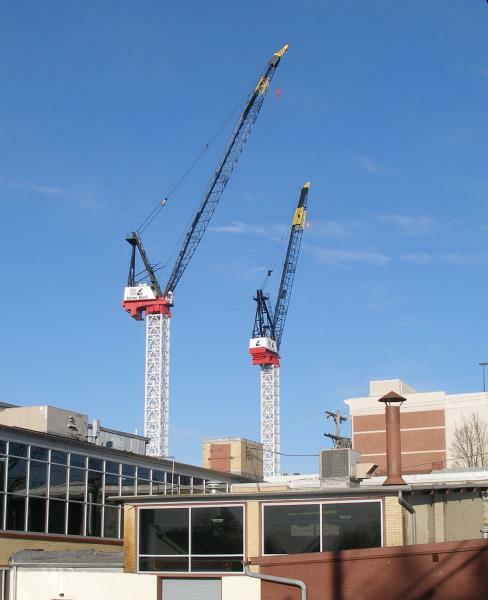 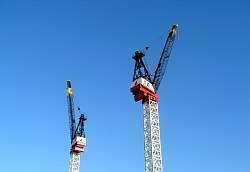 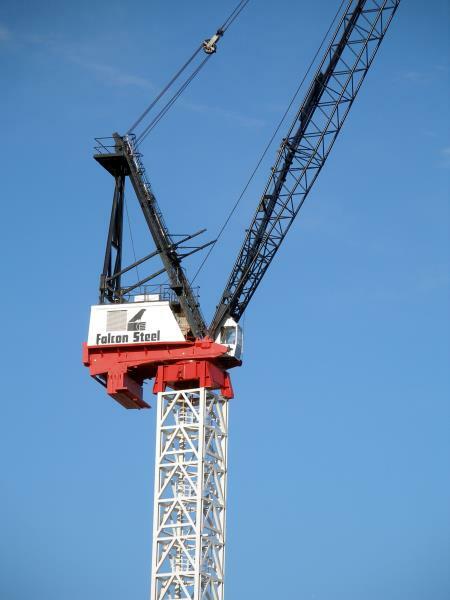 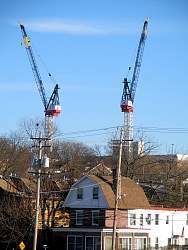 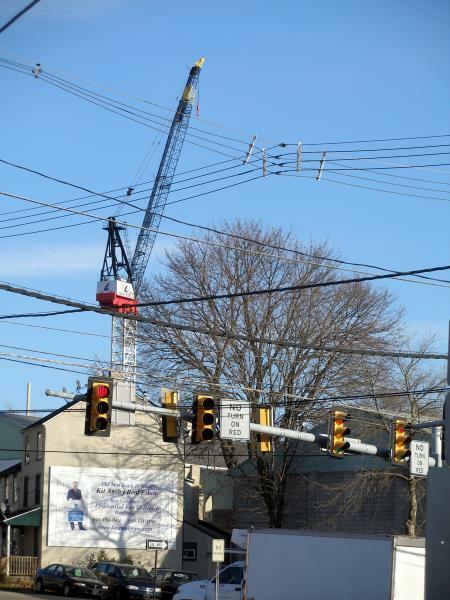 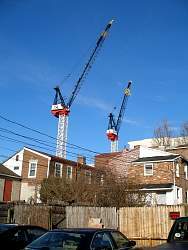 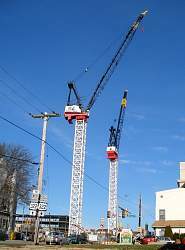 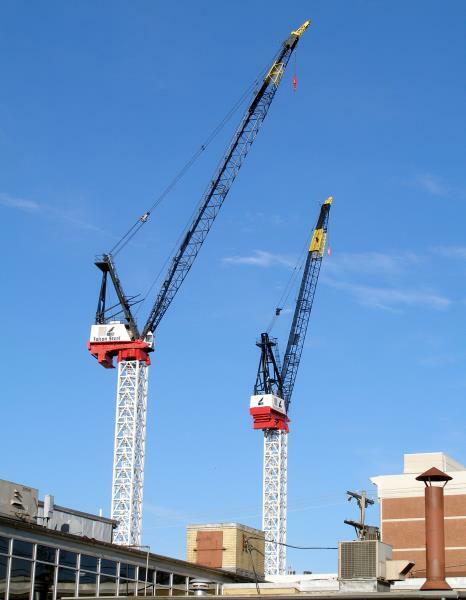 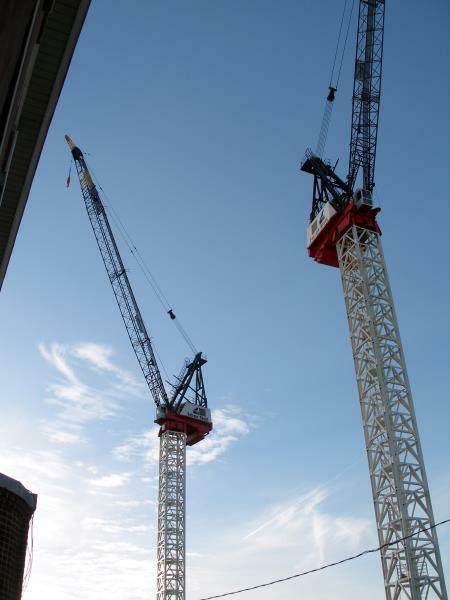 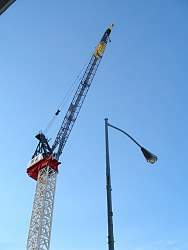 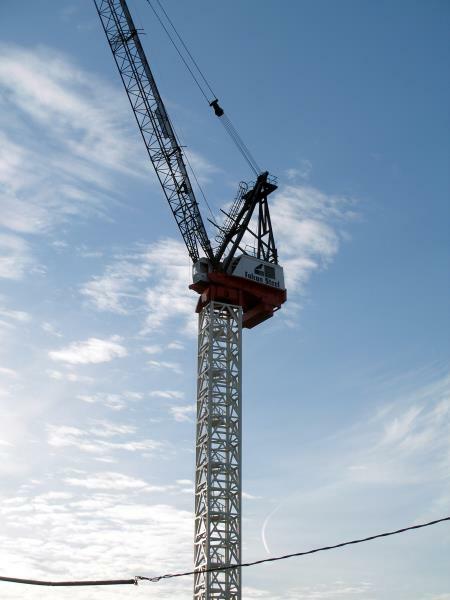 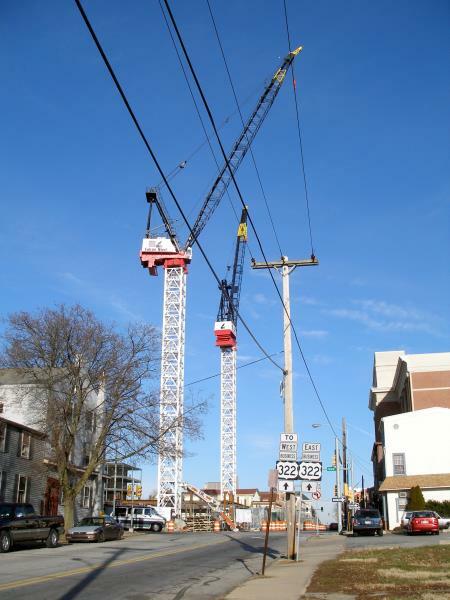 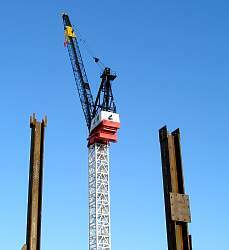 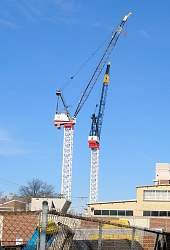 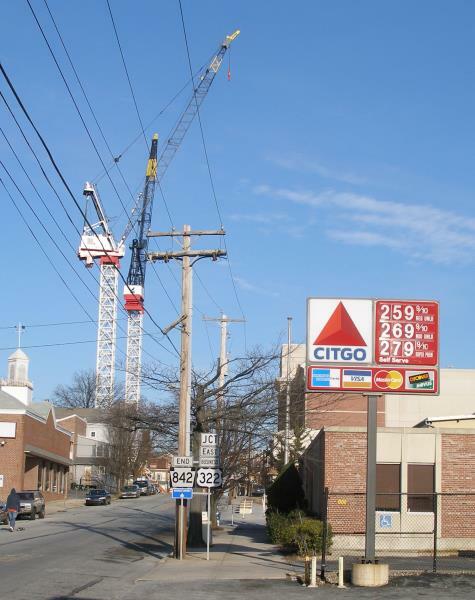 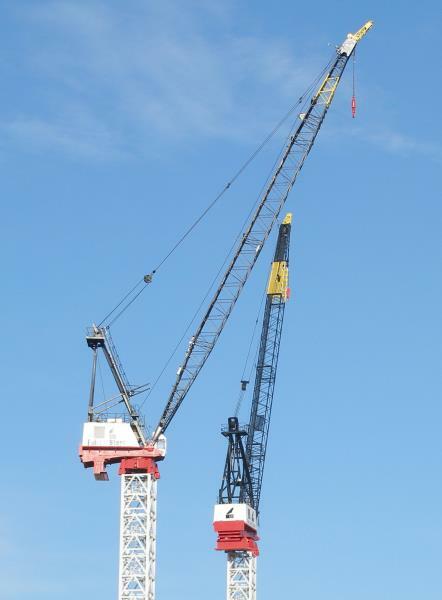 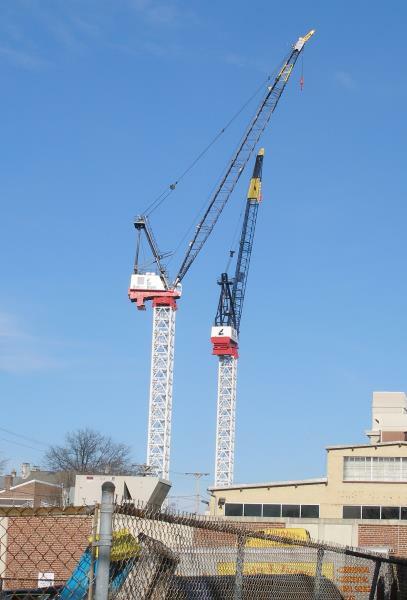 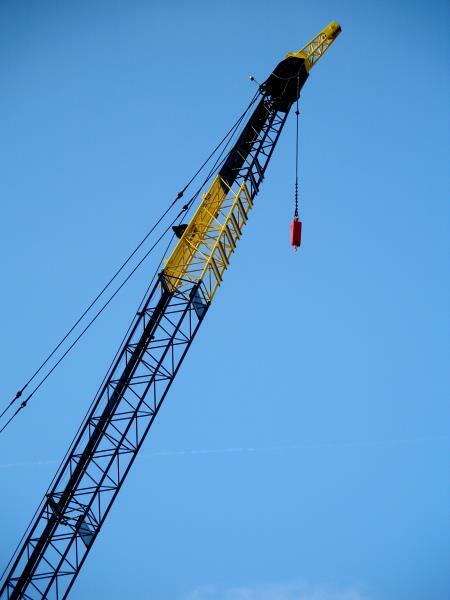 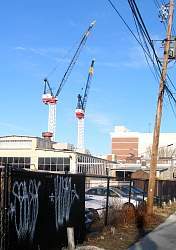 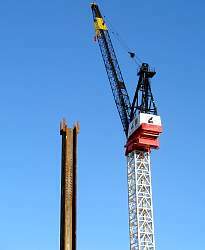 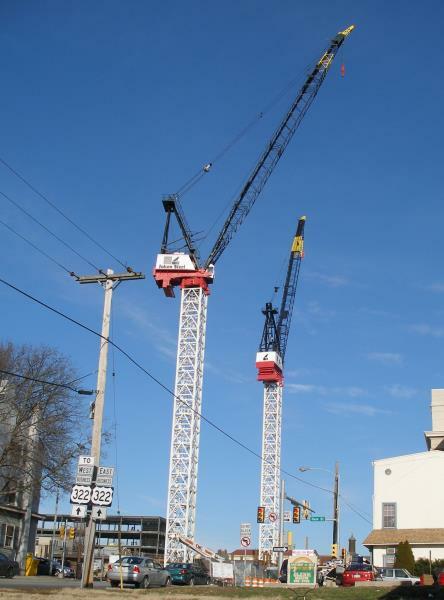 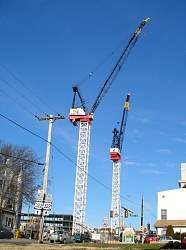 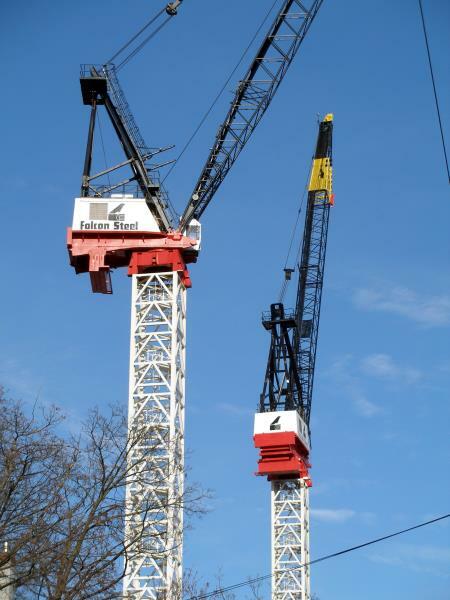 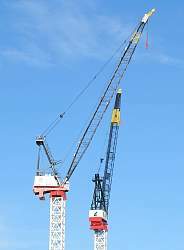 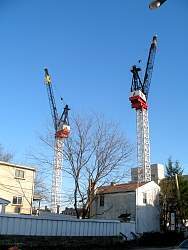 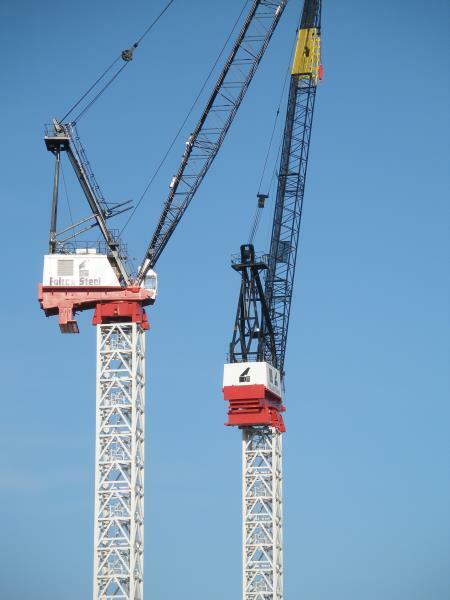 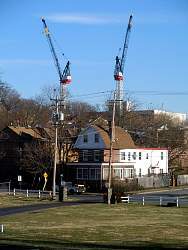 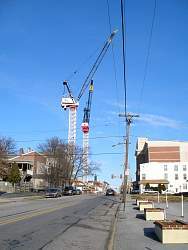 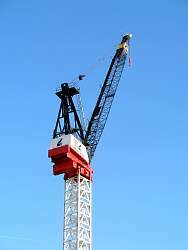 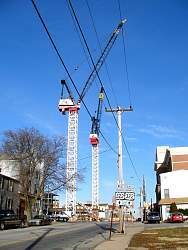 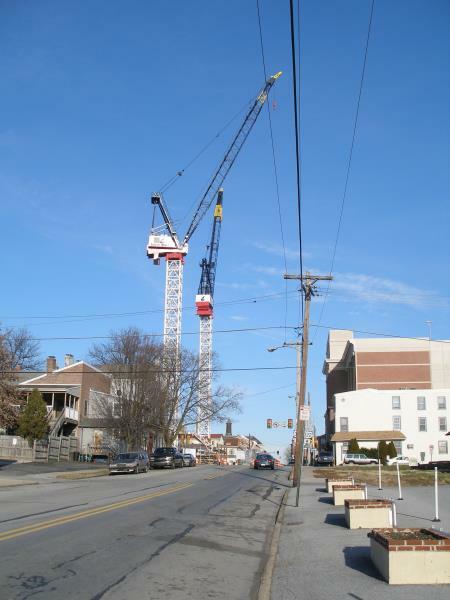 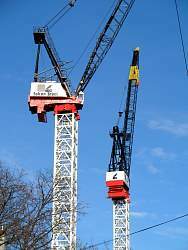 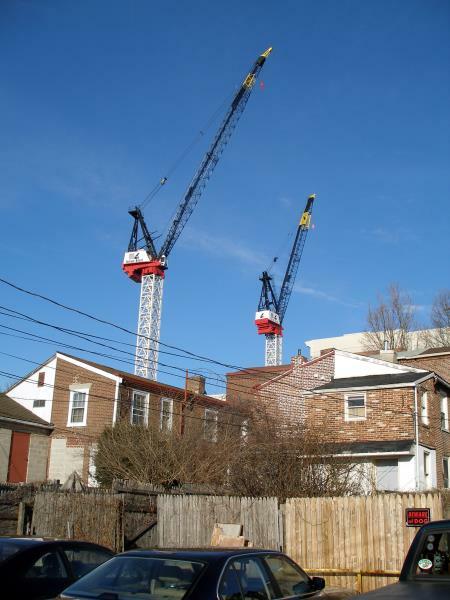 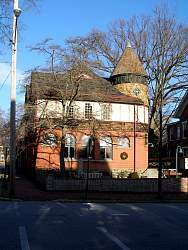 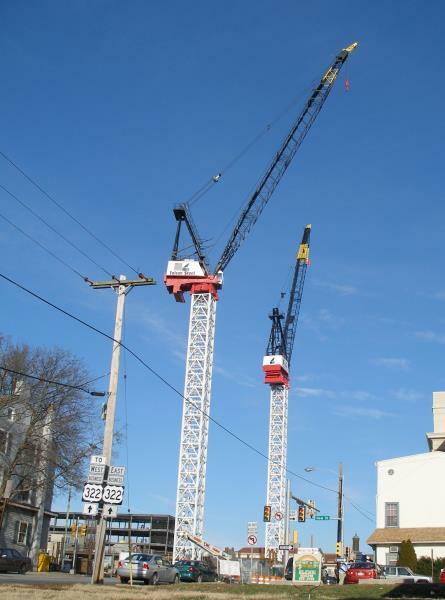 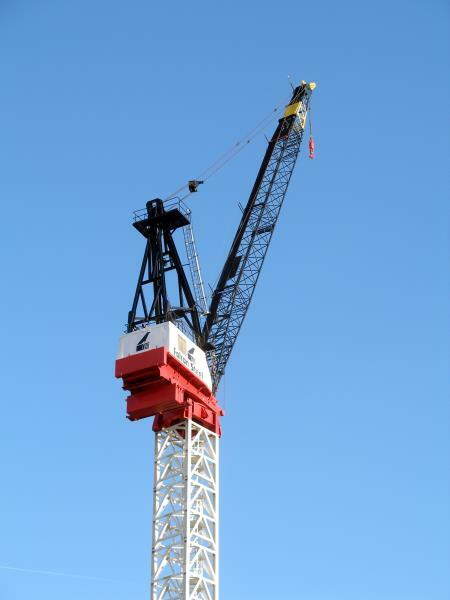 1/22/2006-There are 2 tower cranes being used to build the Justice Center at Market and New Streets in downtown West Chester. 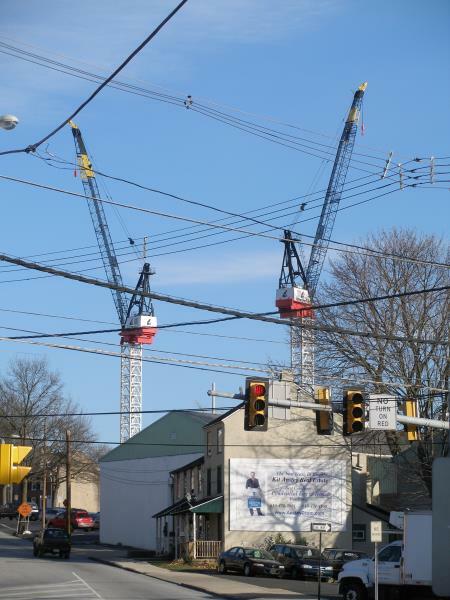 They sit there in stark contrast to the rest of our cute 'little' town. 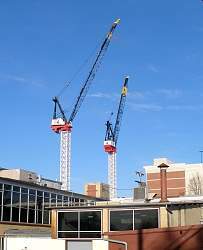 It will be interesting to see how the WC landscape is changed once the new 7 story Justice Center replaces the cranes.